So many books aim to present mindfulness in a way suitable for little kids; this one actually does it. There’s no jargon or tough concepts—just natural-language exploration of the senses and surroundings and breath; just simple, heartfelt wishes for the wellbeing of others. Creative and thoughtful mindfulness exercises will help teachers and parents gently and naturally guide children and will invite families to connect and be fully present with each other. "See, Hear, Feel is an invitation for families to experience the subtle wonders of every moment. This accessible and engaging book teaches mindfulness to children through an adventure of the senses. Children and parents will come back to this book, again and again, to connect to their hearts and bodies together." "A sweet, elegant, and clear way of introducing mindfulness. 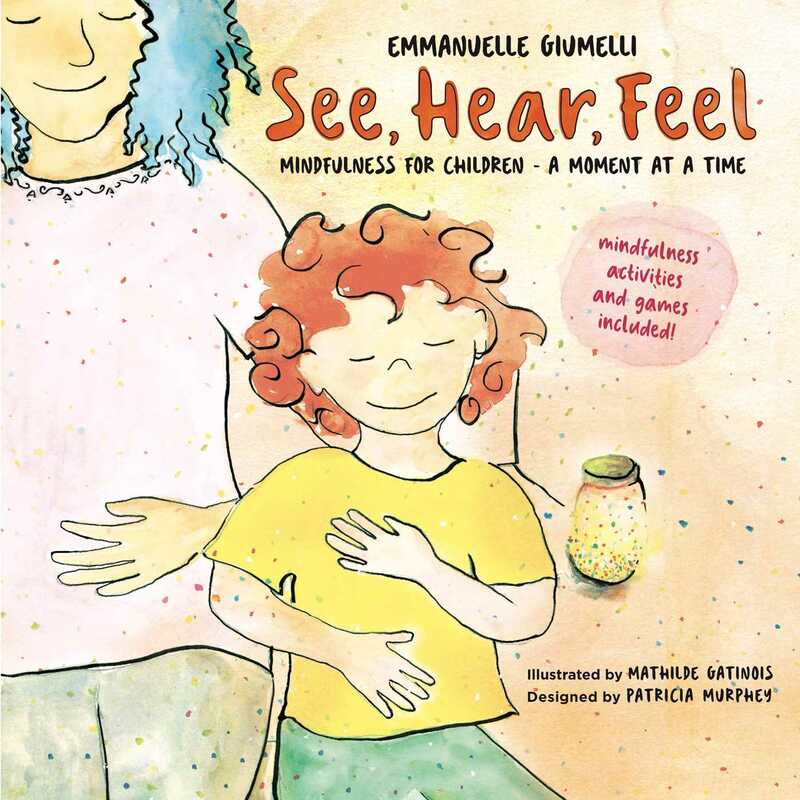 This book is an excellent companion to children's mindfulness classes, and it is equally lovely for parents and children to read together at home. Highly recommended." "What a wonderful book to help young people (and the adults in their lives) grasp the concepts of mindfulness! Each page provides a different experience to explore. Emmanuelle and her team kindly remind us that our bodies, hearts, and minds can help us be more present—one moment at a time."